Carrying money bag and holding one big ingot, this big money Buddha statue is believed to bring wealth, happiness, good luck and prosperity in. 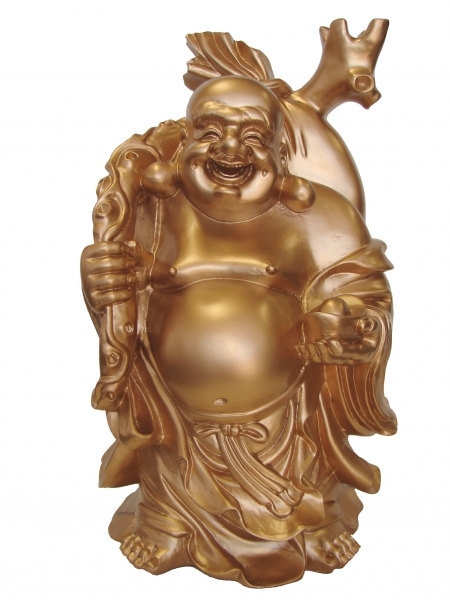 You can display this big golden Buddha statue in your wealth corner, entrance, living room or near cash counter. It is made of resin and the dimension of it is approx. 9"(L) x 9"(W) x 16"(H).